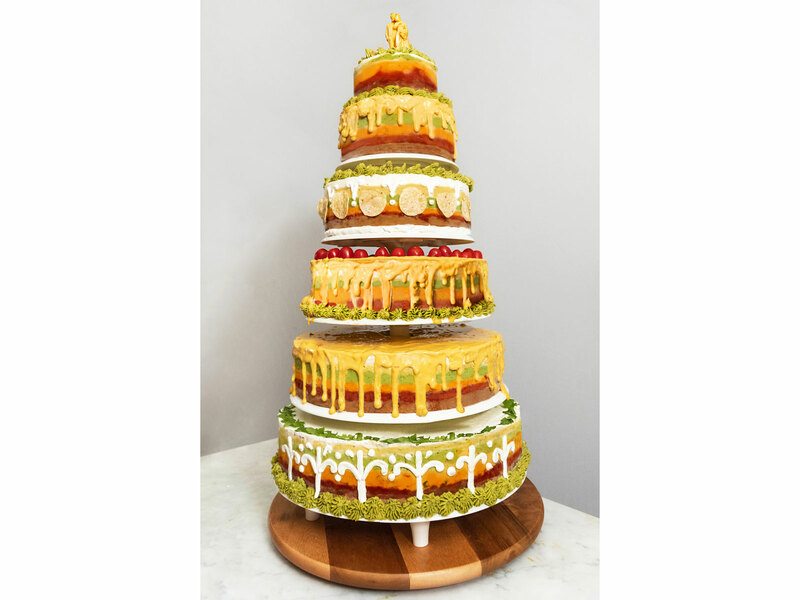 I know that it doesn’t exactly look appetizing but check this out: This so-called cake is made up of 42 layers of dip—sour cream, guacamole, queso, the works. I am extremely tempted recreate this monument to snacking at my hypothetical wedding and in the meantime I will be here, fantasizing about sinking a giant corn chip into one of its tiers. 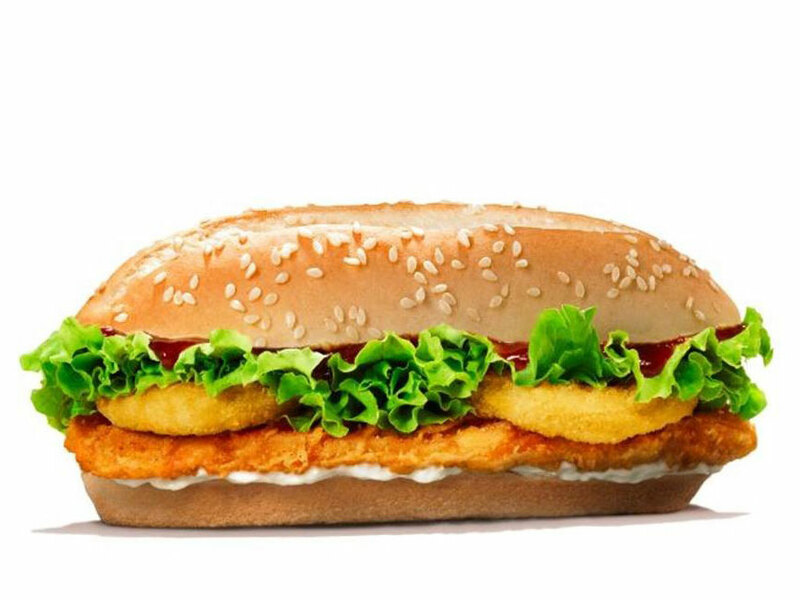 The U.K. arm of this fast food chain released a limited-edition chicken sandwich, which is topped by two onion rings. Get it? Because Prince Harry and Meghan Markle are getting married. Okay, this one is just a doughnut in the shape of a heart, but weddings are celebrating love so…it works? 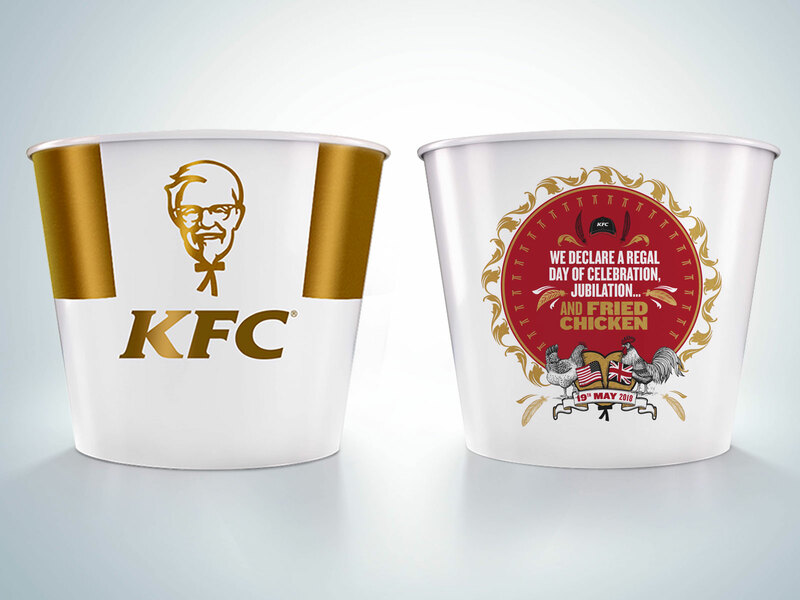 These embellished chicken buckets are supposed to commemorate Harry and Meghan’s big day, though you might be wondering what chicken has to do with the royal wedding. I’ll tell you what: Harry and Meghan got engaged over a dinner of roast chicken. So please feel free to celebrate the royal wedding with fried chicken without guilt. 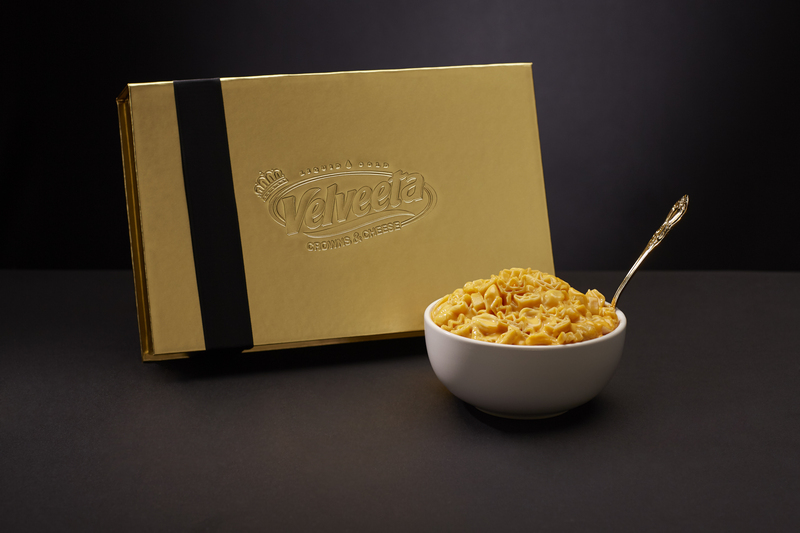 Here’s how Velveeta’s limited-edition mac and cheese with crown-shaped pasta made one of our editors care about the royal wedding. This British company, famous for its chocolate cookies and orange jelly-filled Jaffa cakes, combined what it’s calling an “American inspired flavor” (because Meghan is American) to create Fudge Brownie Digestives. Sounds delicious, though I would have gone with apple pie. Royals live in castles, reasoned Cadbury (probably) and people everywhere—whether they love royals or not—love chocolate. So the iconic British candy company built a model of Windsor Castle (where the couple will be married) out of chocolate to unite people who watch royal weddings and people who eat chocolate. That covers pretty much the entire planet, right? This Hollywood staple just had to get in on the royal wedding action, but there is pretty much nothing further from the British royal family than a hot dog. So Pink’s stuck two of its famous franks in a bun and congratulated the happy couple with cursive mustard. That’s how we do it in America. This cup of coffee is the face of marital bliss. The two faces of marital bliss to be exact. Meghan and Harry’s faces. 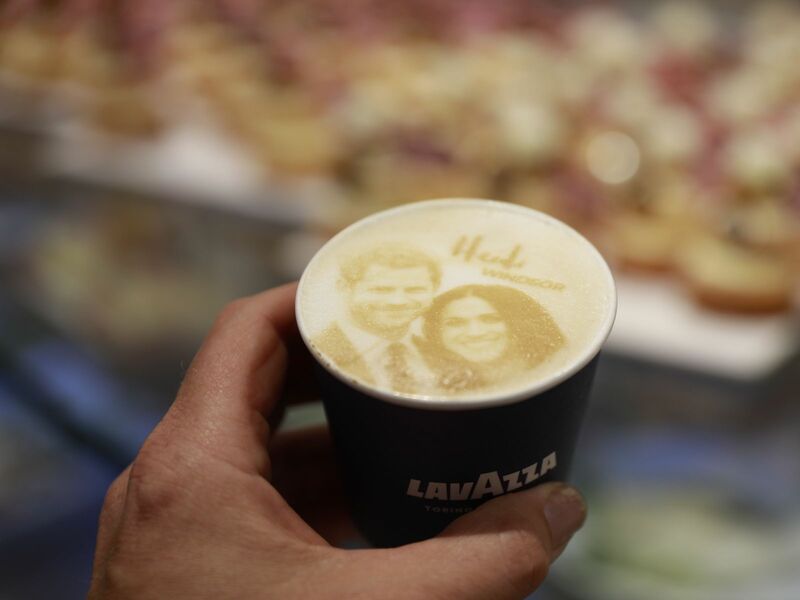 That’s right, someone imprinted the couple’s smiling mugs in coffee foam. Royal family fanatics must be stopped. What’s next? Printing their faces of bathing suits? Oh, wait. That already happened.